Two entries to CS3000, one done before and one after my previously posted Lou Ferrigno piece. Both of these are anthropomorphic concepts (i.e. taking something, in this case a swan and a smoking pipe, and humanising it). The first is my latest, Natalie Portman from the movie 'Black Swan'. Had a lot of fun with this concept and it turned out alright. Also below once again are a few stages from it's creation. 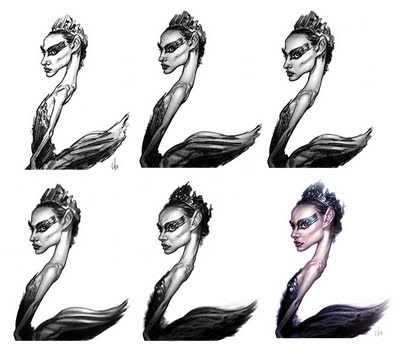 Did my best to wrangle Portman's form into the swan silhouette, the head could have been more swan-like, but you get the idea. Next is my submission for the Norman Rockwell caricature jam. 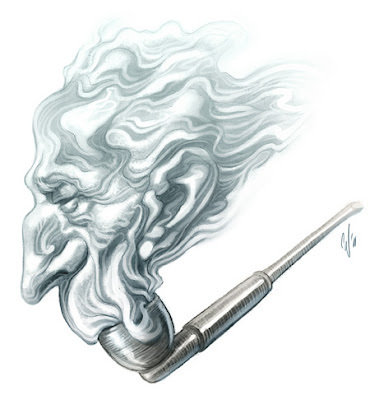 Many people were drawing Norman smoking his trademark pipe, so I turned the tables. This time the pipe is smoking him! My favorite piece so far! Love it when you mix art with a concept! Bravo! 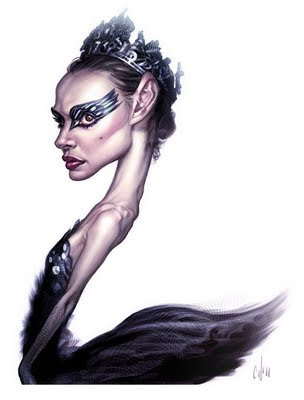 Your work consistently has strong likeness/essence, an interesting concept, and amazing rendering. There are so many caricatures which fall short on one or more of those qualities... (usually the first two). Great piece Chris and love the Rockwell too! Dude! Dude! !!!!!!! ... dude! i enjoy your rending of smoke. i am currently creating lettering with using smoke as an influence. the illo of rockwell, creative, eye catching and humorous. Definitely love the twist on rockwell. Hi Chris, I've just spent the last couple of hours looking at all your previous posts and I'm stunned(and more than a little jealous) absolutley outstanding work. I love these! Very original!! My name is TYson and id like to be able to use this drawing to make a new sign for our company.... If you are ok with this please email me and let me know, we can talk.... Very serious. Devildog- Contact me at krisvahl@yahoo.com and we can discuss it.